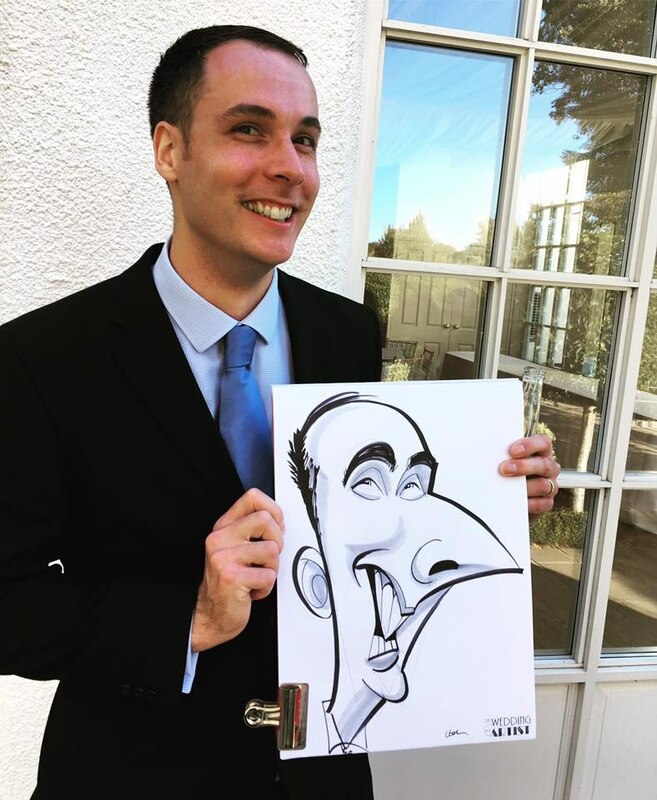 Hire a walkabout caricature artist with personality and style. 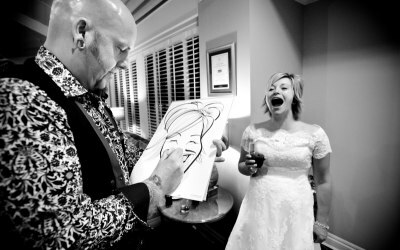 With 27 years experience, ‘Spot On George‘ has a fantastic celebrity client list including Brad Pitt and Amanda Holden, he specialises in weddings and Christmas parties, offering mix and mingle entertainment for your guests, in London, Leicester, Blackpool and Birmingham. 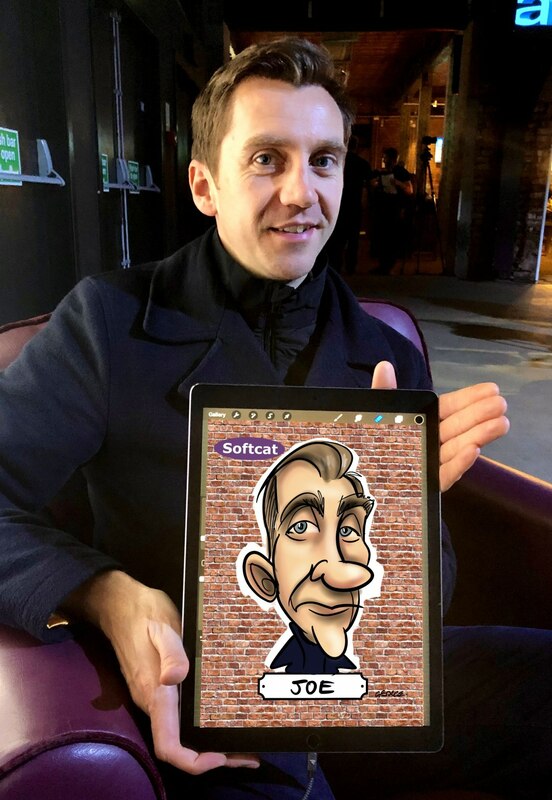 George also offers live digital corporate caricatures, for exhibitions, office parties, conferences and visualisation. 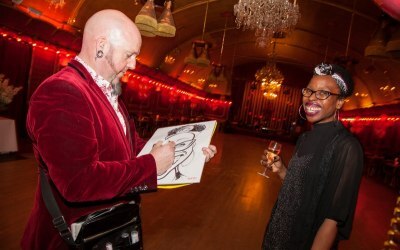 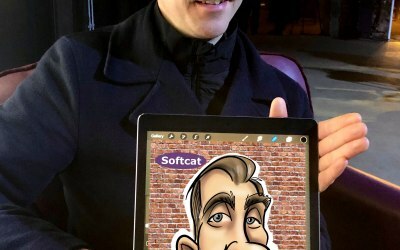 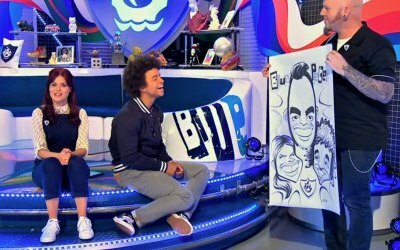 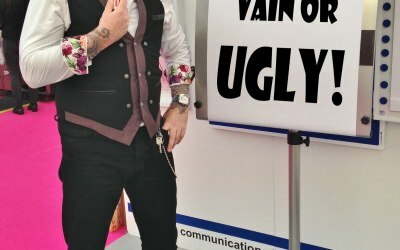 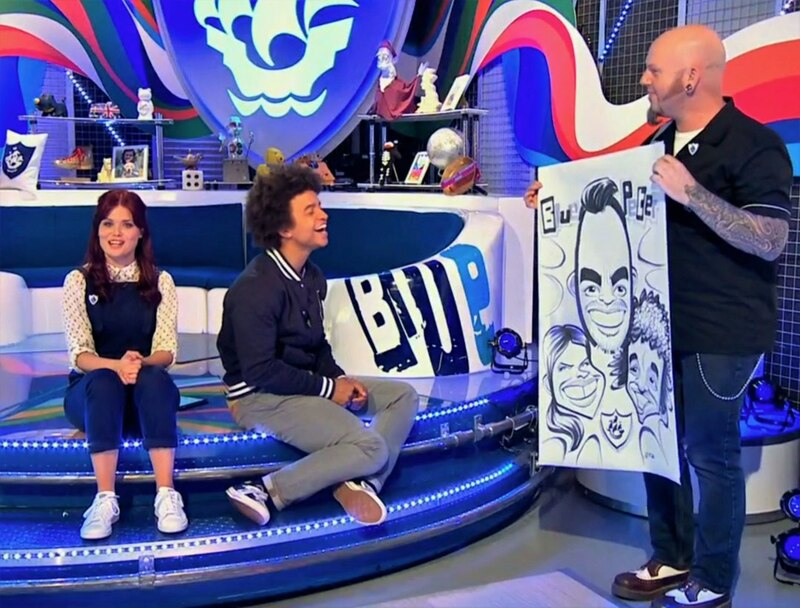 George is a professional walkabout party caricature artist who offers Nationwide coverage, with bases in Leicester and Blackpool, pens will travel! 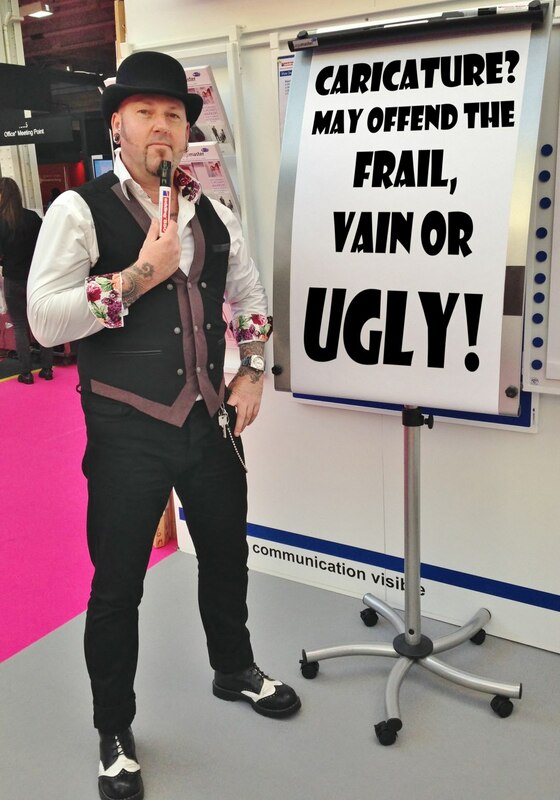 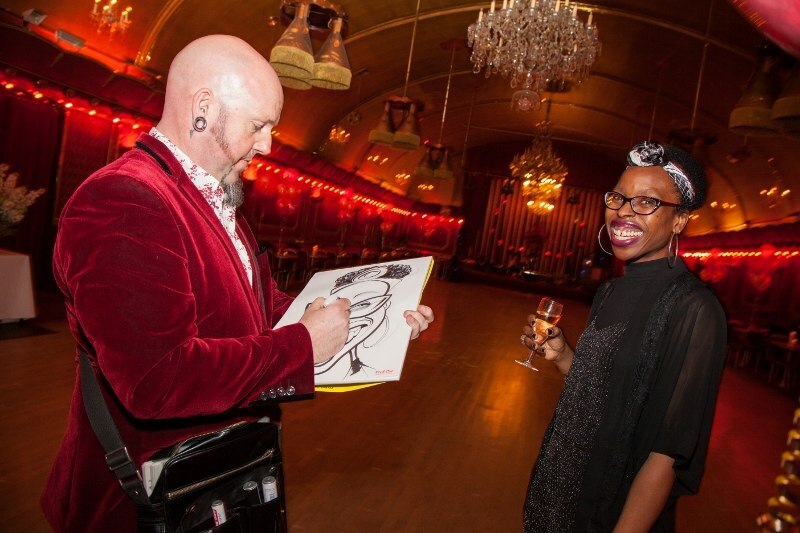 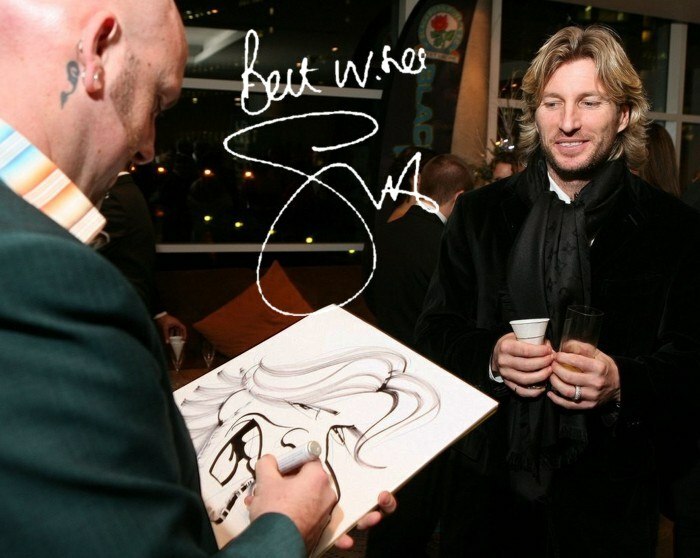 So hire the most established and entertaining caricaturist in the UK! 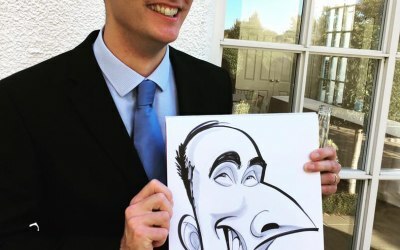 Get quotes from Spot On Caricatures and others within hours.